Although many different animals carry out pollination, including birds, bats, beetles, butterflies, moths, flies, wasps and many other insect groups, this guide will primarily focus on creating habitat for bees, including wild bee species as well as the domesticated honey bee, with additional notes on other pollinators such as butterflies. 1. If you are a beekeeper, your primary reason for creating pollinator habitat might be to support the health and productivity of your honey bees. You may want to minimize the need to supply supplemental feed, either pollen and pollen substitutes or sugar, and you may also want to produce a harvest of honey for your-self or your business. In addition, you may want to diversify the sources of pollen for your honey bee colonies to improve their health. 2. If you are a farmer or orchardist, your primary reason for creating pollinator habitat might be to support pollinators of a particular crop, or of a range of crops. You may want to support generalist social bees, like honey bees, bumble bees and some sweat bees, that are active through a long season, and you may also want to support a diversity of solitary bees that are active on your crops of interest during the time they bloom, particularly if you have an orchard with spring-blooming fruit trees. 3. If you are a manager of a large land area, for example along roadsides or utility rights-of-way, or in a conservation area managed by a land trust, your primary reason to create pollinator habitat might be to use the land you manage in a way that benefits the broader ecosystem and creates a corridor for pollinators to move and thrive. You may also need to meet mandates from state or federal governments for planting native plants or creating pollinator habitat. 4. If you are a gardener, your primary reason to create pollinator habitat might be to observe pollinators up close, to make a statement with your own property about supporting pollinators, or any of the other reasons above – to support honey bee health, to get pollination in your own garden, or to create habitat that benefits the larger ecosystem. For any piece of land, there are usually multiple goals, and it is important to identify these as well. You might want to create a permanent pollinator habitat that will minimize maintenance costs and labor. You might want to get a yield of flowers or fruit from your pollinator habitat. You might need to build soil organic matter, or control erosion, or buffer a waterway, or control invasive plant species. If you are managing land along a roadside or right-of-way, there are a whole series of goals required for public safety. In your home garden, you might also want your pollinator habitat to look good! The next question is: What do you have now on your site? It is generally easier to protect the pollinator habitat you already have than to establish new habitat. Also, in improving existing habitat or adding new plantings, you will want to supplement what you already have by filling gaps – adding flowering plants when there isn’t enough bloom or adding nesting habitat you don’t already have. What does pollinator habitat look like? Bees use a wide range of flowering plants including shrubs and trees as well as flowering perennials. Some bee-friendly shrubs and trees may have inconspicuous flowers, like those of maples (Acer spp.) or inkberry (Ilex glabra), both of which provide important nectar and pollen resources, and even provide honey flows for honey bees in some regions of the US. Some places to look for bee habitat are in forests (particularly for bees active early, when trees are flowering, and before they leaf out), forest understory gaps and edges, hedgerows, windbreaks, edges of ponds, ditches, fields, and roads and along streams. Fallow fields and flowering cover crops, such as alfalfa, canola, clovers, and vetch can provide temporary bee pastures. Natural habitats also provide nesting areas for bees. Most bumble bee nests are in holes in the ground made by other animals or in thick clumps of grass. Most other bees are also ground nesting, making their own tunnels in soil that is bare or partially covered by patchy vegetation. Other nesting habitats for bees are rot-ting wood with holes and hollow stems. Once you know what pollinator habitats you already have, it is important to protect them from damaging disturbance and pesticides, particularly insecticides. Bees and other pollinating insects are highly susceptible to insecticides. Although there are some differences among insecticides in toxicity to bees or other insect groups, in general it is best to avoid applying insecticides to any flowering plants when they are in bloom and being visited by pollinators. Additional precautions for insecticides that are systemic those that can travel through the plant and potentially contaminate nectar and pollen are also important, but more complex. Once you know and protect the pollinator habitats you have, then you can find places to improve on existing habitat or add new habitat for pollinators. For this, I have written separate guides for beekeepers, farmers, managers of large land areas, and gardeners. Please find the appropriate section for you. Although honey bees and other pollinators use many of the same flowers, honey bees also have different habitat requirements from wild bees and other pollinators. Because honey bees are managed by beekeepers, they can be moved to apiary sites that fit their needs, or else the bee-keeper can improve habitat for them in an existing location. Obviously, honey bees kept in hives do not have a requirement for natural nesting sites. The Beekeeper’s Handbook gives criteria for choosing a good apiary site, including dependable nectar and pollen sources within a 2 mile radius (honey bees travel farther than many native bees), a continuing source of water, vehicle access for moving equipment, and good relationships with neighbors to prevent vandalism or theft and to avoid issues with stinging. Additional recommendations for locating hives for bee health, to avoid problems with neighbors, and to facilitate inspection of the colonies by the State Apiary Inspector are on the website of the Connecticut Agricultural Experiment Station. Owners of honey bee hives are required by state law to register the location of all hives with the State Entomologist by Oct. 1 of each year. The form for registration is on the Connecticut Agricultural Experiment Station website. Honey bees benefit from having sources of nectar and pollen during as much of the flight season as possible, starting with the first warm days above 50˚ F until the last warm days above 50˚. Unlike our native bees, honey bees are able to store large quantities of nectar in the form of honey and also to store pollen in the form of fermented bee bread in the hive, and are thus able to survive as a colony through periods of dearth during the season, and to remain active inside the hive during the winter. Beekeepers have the option of feeding honey bees sugar in various forms (corn syrup, sugar syrup, dry sugar, fondant) and pollen or a pollen substitute when flowering resources and stored honey and pollen are not sufficient for their needs. An average honey bee colony consumes between 22 and 57 pounds of pollen per year and about 700 pounds of nectar per year. 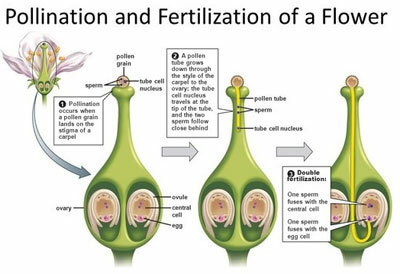 Pollen is the source of protein, minerals, lipids, and vitamins. Pollen from different plants varies in nutritional value, including in protein content and amino acid balance. Mixing pollen from different plants can help to balance any nutritional deficiencies in any single source of pollen, and bees live longer and have stronger immune functions when feeding on mixed pollen. Nectar is the source of carbohydrates for bees. Most nectars are in the range of 25% to 50% sugars, and are converted by the bees into honey by adding enzymes and drying the nectar so that the moisture is only 17-18%. This allows the honey to be stored for later use, but also means that the bees need access to water to add to the honey before they can use it. Honey bees need water to dilute their stored honey and to cool the hive when the combination of warm weather and heat created by the metabolism of the bees raises the temperature inside the hive above 100˚ F. Beekeepers should either locate their hives near a natural water source, such as a pond or stream, or else provide a continuing source of clean water through the season, starting March 15. Honey bees are not native to North America, and thus they have no preference for native plants over other plants rich in nectar or pollen. Thus honey bees also use many invasive plant species for nectar and pollen. The website of the Connecticut Invasive Plant Working Group gives the current list of invasive plants and potentially invasive plants. The group also has lists of recommended alternative plants native to Connecticut, many of which are excellent sources of nectar and pollen. Some plants have nectar or pollen toxic to honey bees including some popular plants such as rhododrendons, azaleas, oleander, amaryllis, trumpet flower, mountain laurel, and some common weedy plants such as tansy ragwort and black nightshade. There are many lists of plants that are good sources of nectar and pollen for honey bees, mostly based on the observations of beekeepers and bee scientists. A list focusing specifically on common plants good for honey bees is in the Beekeeper’s Handbook. Many other lists of plants rich in nectar and pollen, good for a wider diversity of pollinators, are generally good for honey bees, too. While honey bees do not care whether the plants providing them nectar and pollen are native, native plants have benefits for other pollinators and wildlife, help to restore our native ecosystems, and, if planted in the right place and cared for at the time of establishment, will be more sustainable over the long term than exotic plants. There are also numerous lists of pollinator-friendly plants for the Northeast, which are regionally native, if not necessarily native to Connecticut. Sammataro, D. and A. Avitabile. 2011. Beekeeper’s Handbook, 4th edition. Cornell University Press, Ithaca, NY. Most fruit and nut crops, and many fruit-bearing vegetable crops (such as peppers, tomatoes, cucumbers, melons, squash, and pumpkins) benefit from the ac-tivity of pollinators, either by producing a greater yield or a higher quality fruit. Depending on the size of the field or orchard and the surrounding pollinator habitat, native bees may be able to provide most or all of the pollination needed, with honey bees available to add to the local pollinators. Often the crop polli-nation rate is higher with a greater diversity of pollinators. The Xerces Society has forms for assessing pollinator habitat for farms and agricultural lands. The basic approach is to look at the dominant vegetation within a mile of the site; the percentage of flower-rich habitat on site, including flowering shrubs and trees as well as wildflowers, and break them down into those blooming in spring, summer, and fall; identify possible bee nesting habitat; and then evaluate management practices (such as insecticide use, presence of buffer strips to protect pollinators from pesticides, and haying, mowing or burning practices). One factor that determines the abundance and diversity of wild bees in an orchard is the distance from natural areas, mostly forests and forest edge habitats. Wild bees pollinating apples feed on pollen from other spring-blooming trees, such as willow, sugar maple, and red maple. Bees can also find nesting habitats patches of bare ground, tunnels in the ground from rodents and other animals, insect tunnels in wood, and hollow stems in forests, forest edges, and in other natural areas such as old fields, meadows, and the edges of streams. How much pollinator habitat is needed to improve pollination, crop yield, pay back the costs of establishment and increase profit? That depends on many fac-tors, but a rough estimate of the amount of natural area (not supplemented specifically to support pollinators) in the surrounding landscape to provide pollination service to a crop is about 25%, while plantings specifically designed as pollinator resources can benefit a crop in the range of 2-8% of crop area. Another important factor is pesticide use. Many farmers and orchardists in Connecticut already practice integrated pest management, and protecting pollinators should be part of the overall integrated pest management plan for the farm. This can take the form of using alternatives to pesticides for pest management; choosing pesticides that are less toxic to bees; changing the timing, formulation, or method of application to reduce bee exposure; and creating barriers to prevent drift of pesticides into bee habitat. What are the important crop pollinators on farms? Spring-blooming fruit crops, such as apple or blueberry, draw on a broad diversity of bee species. For exam-ple, a recent study of bees pollinating apple orchards in New York State identified 55 bee species in 11 different functional groups, classified by size, sociality (social, solitary, parasitic on other bees, or communal), and nesting habitat (ground, cavity, wood or stem), and determined that better pollination and fruit quality was associated with the presence of more functional groups of bees. While the bees visiting spring-blooming orchards include many solitary bee species active only for a few weeks in the spring, the bees visiting sum-mer-blooming vegetable crops like watermelon, cucumber, tomato, and pepper are mostly social bees with colonies active over a long season. Here in Connect-icut, vegetable farms are highly diversified, and many have sources of pollen and nectar for bees over the season. Flowering plants can have benefits in pest control as well as in pollinator abundance because many predators and parasites of insect pests need nectar or pollen resources at some stage in their life cycles. In Michigan, for example, a series of studies of wildflower plots adjacent to blueberry fields have shown that these plants supported beneficial natural enemies of insect pests as well as pollinators of blueberries, and increased yield and profit for the farmers. Choosing the right plants to add requires good information about the entire system. While adding plant diversity can benefit pollinators and natural enemies of pests, and when well-integrated into the farm can provide other benefits such as nitrogen fixation, erosion management, and improvements in soil health, added plants can also become weeds and compete with the crop plants and can provide alternate hosts to pest and pathogens of the crop plants, too. 1. Plan for at least 3 plant species to be simultaneously in bloom at any point in the season, with the bloom of the mix extending across the flight period of the main bees pollinating the crop. 2. Choose flowers with a variety of flower structures to benefit many different functional groups of pollinators (bees and other pollinators of different sizes and with different behavior patterns and mouthparts). 3. Use native plants and local genotypes wherever this is practical, although non-native plants may also benefit generalist bees and their seeds may be less expensive. 4. Do not use plants that are weeds in the target crop. 5. Analyze the site characteristics and the level of maintenance that will be practical and cost-effective, and use only plants that are suited to the site and that will establish successfully under the level of care available. 6. Select a mixture of plants to meet long-term goals, although replanting may be necessary after a period of several years for herbaceous plant species that are not strongly competitive. 7. Limit plants blooming simultaneously with the crop, preferring plants blooming before and after, to limit competition for pollinators. 8. Native shrubs and trees can provide a high density of floral resources to pollinators on a small land base, and can provide flowers earlier in the spring than many herbaceous perennials, but will also take longer to mature. They are also longer-lived than herbaceous perennials when well-adapted to the site, so may continue to provide resources for many years. Roadside and utility rights-of-way have the potential to be excellent habitats for pollinators and also for many other wildlife species that need early successional habitat (open land with grasses and herbaceous plants rather than trees and shrubs. Rights-of-way have both negative and positive effects on pollinators and other wildlife. Depending on the specific biology of the species involved, they can have negative effects from habitat fragmentation, pollution, and spread of invasive species or habitat generalists into new areas, but they also have the potential to provide a huge resource of stable, early successional habitat to bees, butterflies, moths, flies, and other wildlife. The area under powerlines covers between 5 and 8 million acres in the continental US, and national roadway rights-of-way cover nearly 10 million acres. In one study in Maryland, a powerline right-of-way, managed every 4-5 years with selective basal herbicide spraying of tall-growing trees, removal of all trees and topping of all shrubs greater than 3 meters, had dense growth of shrubs favorable to pollinators, and had higher species richness of bees and more rare species than nearby annually mowed fields. Another study of a powerline corridor running from central Connecticut north to southern New Hampshire found significantly greater plant diversity in the right-of-way than in adjacent woodland areas, including host plants for many specialist bees and rare moths and butterflies. In managing land on a large scale, a systematic, comprehensive approach is needed, as is a level of expertise in ecological restoration and the specific constraints and opportunities of a particular use and site that are beyond the scope of this guide. While pollinator habitats on farms often have goals of increasing and stabilizing pollination of specific crops, the goals for increasing or improving pollinator habitat on other lands can be broader. Crop pollinators are a limited subset of wild pollinators. Pollinator plantings that are not directly tied to agricultural goals have the opportunity to support a broader range of pollinators and other native wildlife, and to make connections with the surrounding native ecosystem. These goals are best accomplished by encouraging the growth of native plants, either through management practices or by deliberate planting of seeds or other plant materials. Well-planned native plantings can also serve other goals of land management by creating locally-adapted functional plant communities for the long term that will reduce maintenance after establishment. Native species are generally in ecological balance with their associates and competitors, and have pest, predators, and diseases that limit their abundance, unlike many non-natives, which can dominate habitats and eliminate native plants and animals from the area. What is a native plant? A useful definition, adopted by the Federal Native Plant Conservation Committee is: “a plant species that occurs naturally in a particu-lar region, state, ecosystem, and habitat without direct or indirect human actions”. Note that “native” refers to an area of interest. Before altering the environment to improve pollinator habitat, it is best to start with an inventory of existing conditions, including native plant communities, nesting habitats for pollinators, and site conditions. The Xerces Society has created a pollinator habitat assessment tool for natural areas and rangelands and guides for site analysis are also included in manuals for roadsides. Where native plant communities are already present, it is both more economical and more ecologically sound to manage them by removing any undesirable plants and, in heavily mowed areas, reducing mowing, rather than planting new plant communities. Undesirable plants can be removed using flame guns for spot weeding, or physical removal, followed by replanting with native species. Delaying mowing until late fall allows native warm season grasses and late blooming wildflowers to mature and disperse seed. 2. Planting rare plants in new sites may create confusion about which populations are naturally occurring and which are the result of intervention. 3. If the rare plant is legally protected, the new site will come under legal restrictions as well. A very good practice for identifying plants for new or improved pollinator habitats is to find reference sites nearby – undisturbed areas with native plants and pollinator activity and with similar sun exposure, soil type, water, and slope to the target site to be improved. This will show you what native plants grow well together under similar circumstances and can act as a model for the new site. Many native trees and shrubs are important resources for pollinators, particularly in spring when few wildflowers are in bloom. Lists of trees and shrubs native to Connecticut and which have the potential to perform well in landscapes are available. Managing trees and shrubs along road-sides and utility rights-of-way both as valuable resources (for shade, water and soil health, and clean air, as well as for their benefits for pollinators and other wildlife) and for safety requires knowledge and planning in order to create a mix of canopy trees, understory trees, and shrubs that is healthy, stable, and attractive. Meadows with a mix of native grasses and native herbaceous plants can be excellent habitats for pollinators because they are sunny, open environments favored by many bees (and butterflies), and provide diverse sources of nectar and pollen. Establishing new meadows of native plants requires specific knowledge about plant choices, extensive site preparation, appropriate equipment for seeding, and follow-up to remove weeds in order to have good establishment, and also re-quires periodic mowing at intervals of 1-3 years in order to prevent woody plants from coming in. Gardens are an important resource for many pollinators. Gardens are key resources for the survival of bumble bee nests from one year to the next. The positive effect of gardens on bumble bee populations spills out onto more than ½ mile of surrounding farmland. Even suburban yards dominated by lawns, but not treated with any pesticides, supported a diversity of 111 species of bees, collected over 2 year in 17 yards. Because pollinators are able to take advantage of flowering and nesting spaces on a small scale, even dense urban environments can support diverse pollinators as long as pesticide use is minimal. Research by Dr. Douglas Tallamy has shown that gardens have even more value for pollinators and other wildlife when diverse native plants are deliberately chosen to fit into the local ecosystem. Central to this argument is the value of native plants to feeding native caterpillars of moths and butterflies, which evolved along with our native plant species, and which then are food sources for other wildlife, such as birds. Native flowering plants also evolved together with native bee species. Many bee species are generalists, and will use a wide variety of flowers, including exotic as well as native species. However, there are also 61 species of native bees in the Northeast that will feed their larvae only pollen of one or a few genera of native plants. For those specifically interested in habitat for butterflies, the Connecticut Butterfly Association has publications online with life histories of each butterfly spe-cies, including host plants for the larvae (caterpillars) and a list of nectar sources for adult butterflies. The Connecticut office of the Natural Resources Conser-vation Service also has several publications on caterpillar host plants for showy butterfly species, nectar-rich flowers for butterflies – many of which attract a diversity of other pollinators – native to Connecticut, and site requirements for growing butterfly nectar plants native to Connecticut. Those specifically con-cerned about the monarch butterfly will want to include milkweeds (Asclepias sp.) as host plants for the monarch caterpillars as well as nectar plants for the butterfly adults. Fortunately, due to the great interest among gardeners in using native plants, there are many in-formation resources available on native plants for gardens and landscapes, including some that are specifically about plants native to Connecticut.